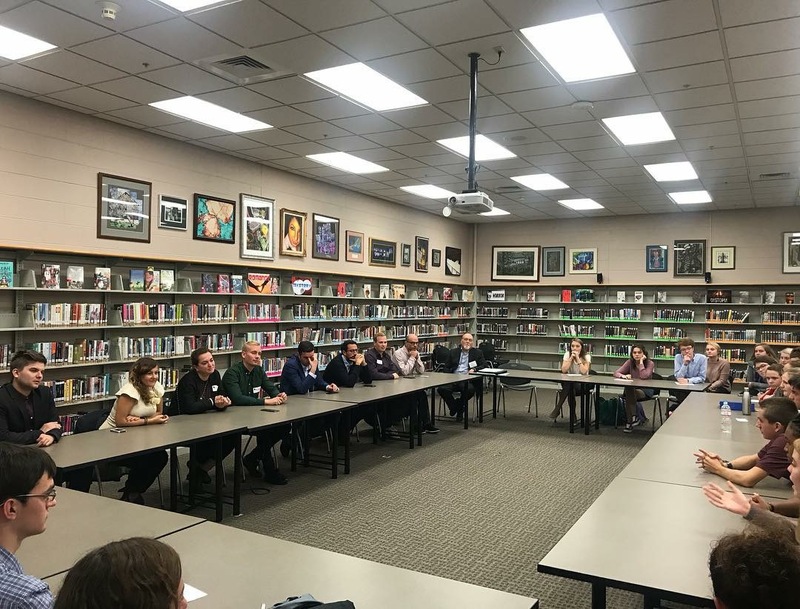 A group of 25 students from Modern World Issues, AP Comparative Government and International Studies participated in a roundtable discussion with an international delegation from the European Union. With representatives from France, Germany, Italy, Poland, Kosovo, Iceland, Denmark and Finland, our students were able to have an open dialogue regarding pressing political, social and economic issues. In addition, these same students were able to have one-on-one conversations with our guests surrounding topics of their interest. Without a doubt, our humble, intelligent, confident students made a mark on the international scene today showcasing their global mindedness. Our community is proud of you!